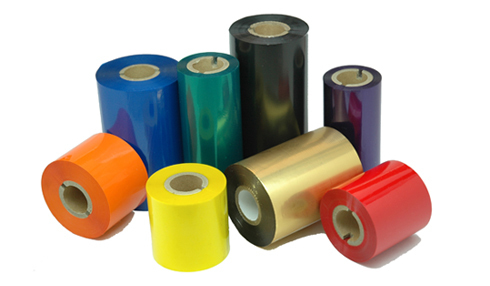 Thermal Transfer Ribbon | Printing Technologies, Inc.
At PTI, we offer a variety of wax thermal transfer, wax-resin thermal transfer and resin-based thermal transfer ribbons specifically designed for printing on our thermal transfer labels. To achieve the optimal print quality, it is necessary to match the ribbon to both the printer and the application. In most cases, for standard print requirements wax ribbons are efficient. For those projects requiring resistance to chemicals on the printing surface, wax-resin thermal ribbons are highly suggested. Our ribbons offer superior smudge and scratch resistance, unbeatable edge definition, and have excellent barcode ribbon scannability. We also offer a variety of kits which perfectly match ribbons types and sizes with labels. We have included typical label dimensions to help you match your labels with the correct ribbon. To figure out how long of a thermal transfer ribbon you need to match with your labels, calculate the total length of your labels in feet and that will give you the length that you need (assume an extra 10% for scrap). If you need help determining the correct ribbon, contact us at (800) 428-3786. We also offer sequential barcode printing services for your convenience, allowing you to only have to deal with the final printed product. 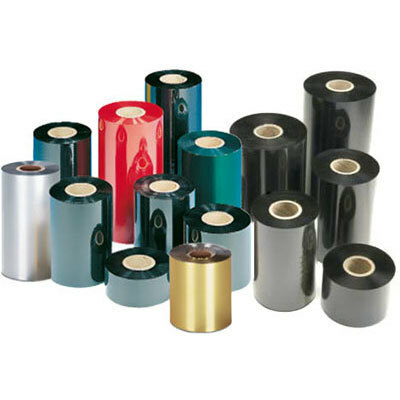 Why Choose PTI for Thermal Transfer Ribbon?